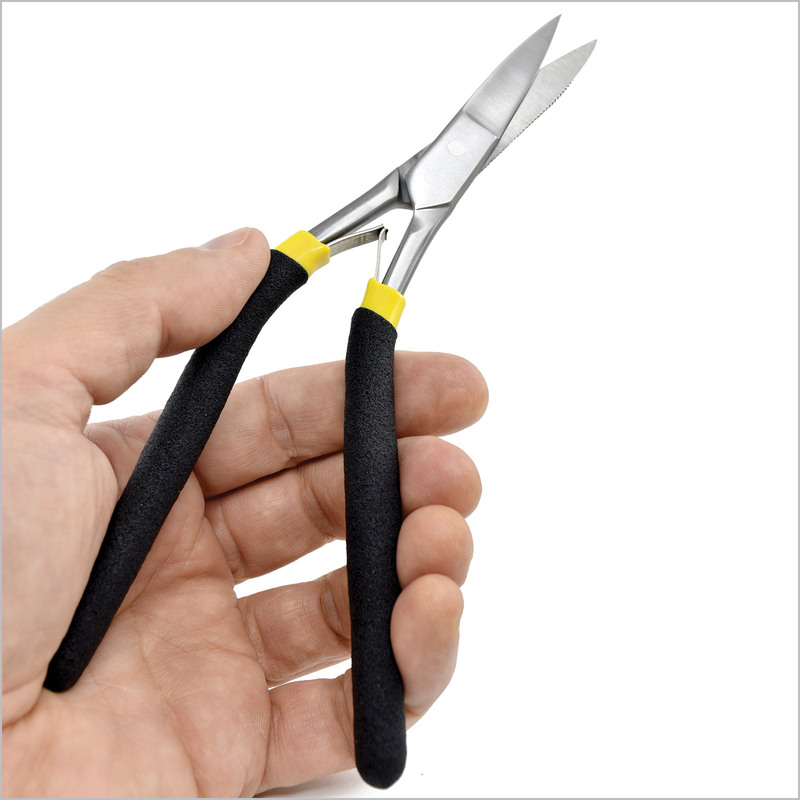 Ergonomically designed shear is a pleasure to use while slicing your way through all kinds of materials. Leaf spring action takes the work out of normal shears, which require reopening the handles manually to perform long line cutting. Super-sharp blades cut plastic, leather, rubber, paper, wood veneers and thin sheet metal with minimal effort. It even has a beefy outer serrated edge on one side of the jaw for sawing if needed. Overall length: 7 5/8”. Blade length approximately 1 ½” long.